This breathtaking Pilgrimage follows the journey taken by the legendary stone boat that brought the remains of the Apostle Santiago to Compostela many centuries ago. A unique and different way of doing the Way of St. James is to do it sailing, as the Apostle St. James did centuries ago. 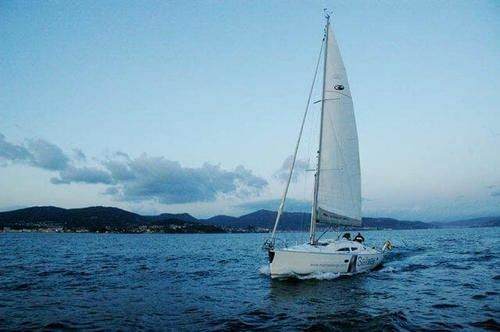 Get La Compostela sailing and enjoying the authentic landscape of the Galician coast, its estuaries and islands. 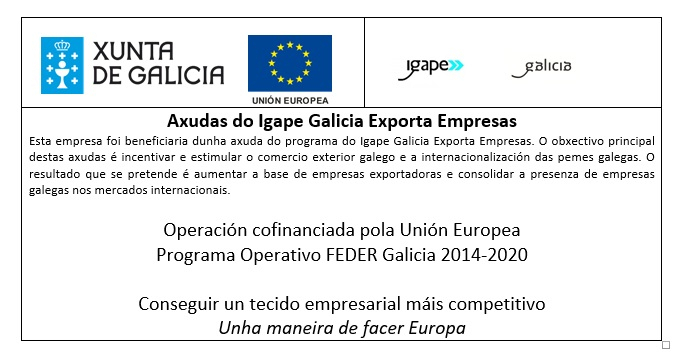 The Xacobeo Maritime Pilgrame is a new recognized Way to achieve La Compostela by sea. The official requieres are to sail 90 nautic miles and to walk the last 5km to Santiago of Compostela following the a recogniced Portuguese Way. You will have to stamp your credential in all the ports that marks the maritime route and to complete the Camino you will have to walk the last 5 km of the Portuguese Way from the town of Milladoiro (compulsary to stamp the beggining of the walking Way at the Santa María chapel in Milladoiro) to Santiago in the Pilgrim’s office. 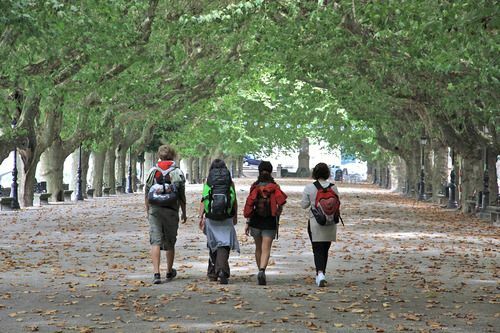 We propouse you to walk the last part of the Way strainght from Boiro port or Portosín port to Santiago of Compostela. Day 1.- Arrival day to Vigo at the Royal Nautic Club of Vigo , we wellcome pilgrims on board so you can drop luggange and spend the day visiting Vigo , getting to know the old town, the marina and main streets …. Day 5.- You check out from the sailing cruiser and you take the local boat to ascent the Ulla River “La Traslatio” (12 miles – 1 hour of navigation) to arrived to Puentecesures (3 km from Padrón). At this point you may choose to walk the last 25 km to Santiago of Compostela or only the last mandatory 5 km from Milladoiro to Santiago of Compostela. Optional: Perform 25 km walking from Padrón to Santiago of Compostela (last part of the Portuguese Way) or just make the last 5 km walking (a taxi or transfer takes the group to the last 5 km of the Portuguese Way) to Santiago of Compostela. Option 2 (4 days days sailing); (90 nautical miles). The departure port is Vigo and the arrival port is Portosín. 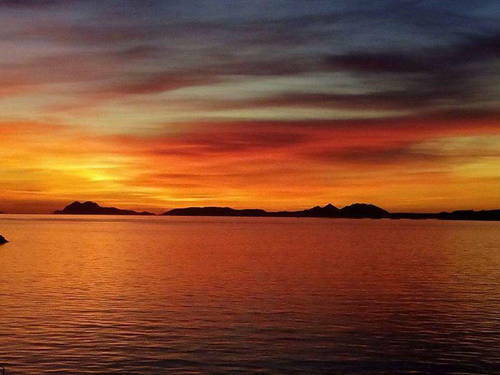 A sailing guide through the charm of the estuaries of Vigo, Pontevedra, Arousa, Muros and Noia. Optional: Performe 45 km walking from Portosín to Santiago de Compostela (it is not an offical way to Santiago but it is a signposted route) or just make the last 5 km walking (a taxi or transfer takes the group to the last 5 km of the Portuguese Way) to Santiago of Compostela. Accommodation on board – includes overnight the day before departure date. Botton cover and pillows per cabin. You have to bring your sleeping bag! What´s not included in the price? Dinners at port. You will be able to choose either a cosy restaurant in the fishing village where we are mooring or to stay on board relaxing with a book. The boat has got all kitchen utensils so you can always cook dinner on board, just remember to leave everything tidy and clean!!. Taxi service and/or sutcases from Boiro to Santiago: 7. 50€ per person – (60€ for a maximum of 8 passangers and/or 8 suitcases). Taxi service and/or suitcases from Portosín to Santiago: 5. 65€ per person – (45€ for a maximum of 8 passangers and/or 8 suitcases). 1 This Pilgrim’s Credential is only for pilgrims who make the Camino de Santiago on the Xacobea Nautical Sailing route, with a Christian meaning, even if only in a search attitude. The credential has the objective of identifying the pilgrim. 2 The Compostela is granted only to those who make the pilgrimage with a Christian meaning: devotionis affectu, voti vel pietatis causa, and only those who reach the Tomb of the Apostle, sailing 90 nautic miles and walking the Portugese way from 5km away to Santiago of Compostela. To confirm and guarantee booking you have to pay 30% of total. The 70% total left to be pre-pay a month before (30 days) booking departure day. In case of failure to pay, Sailway reserves the right to cancel the charter service. Cancellations occurred with less than 30 days before charter departure date, we charge 100% of the total rate offered. In case of rainstorm forecast we will offer you a refund of total or the chance to change dates, you choose!